The Service to Children Award is presented yearly to a person or persons who exemplify TEAM’s belief that we all play a role in creating happy childhoods for children. From its inception in 2007, the recipients of the award have been varied and interesting folks. 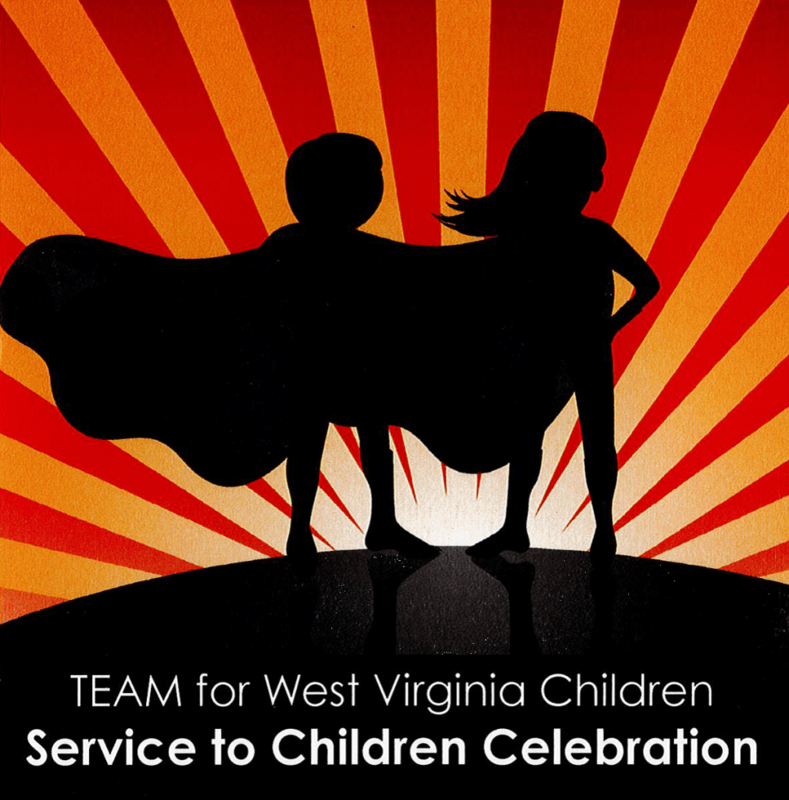 The TEAM for West Virginia Children is a non-profit organization whose mission it is to work with communities and families to promote and advance the well-being of children, making their needs and healthy development a priority. We deliver our mission by operating and partnering with an integrated network of programs that advocate for children, prevent child abuse and neglect, strengthen family relationships, and educate and build family-friendly communities. The TEAM envisions West Virginia as a state where all children can grow and thrive in safe, stable, nurturing relationships, free from abuse and neglect, so they will achieve their maximum potential as adults. The people chosen to receive our annual Service to Children Award have in their own way advanced our mission and share our vision. For more information about the award, please contact Connie Kinsey at (304) 5523-9587 ext. 316. These two doctors were the first recipients of our Service to Children Award. Please go here to learn more about why we chose them. The TEAM for West Virginia Children appreciates the work of West Virginia’s First Lady Gayle C. Manchin. See how her outstanding personal and professional commitment to the children and families of West Virginia won her our 2008 Service to Children Award. “I’m trying to give kids hope. It’s all about the kids,” he says. “I want to see them have a chance to succeed, and not just through sports programs.” Click here to see why the TEAM for West Virginia Children honored Troy Brown with their 2009 Service to Children Award. Margaret “Peggy” Phipps Brown and Eduardo Pino, M.D. Both recipients have long time connections to the TEAM and have spent their careers helping our children. Click here to read more about why they were chosen for this award.